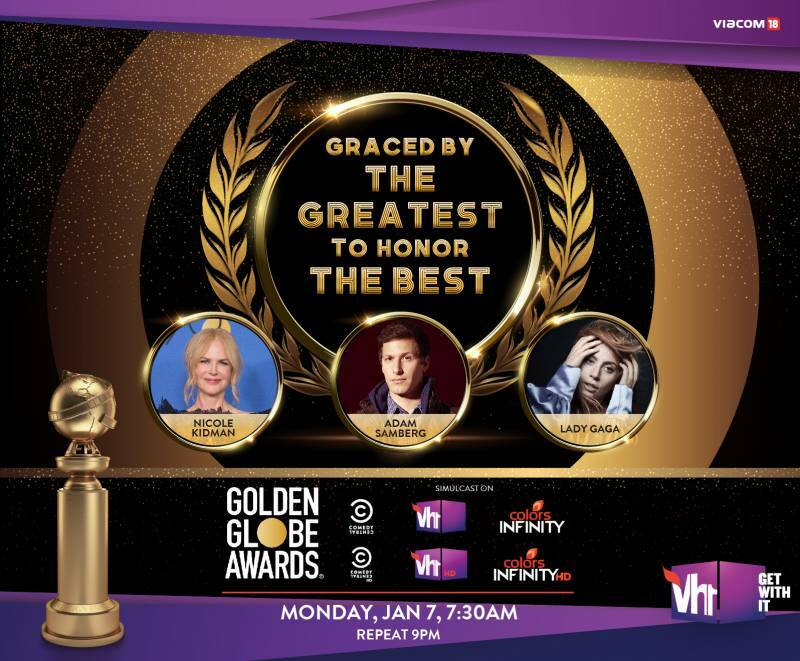 Kicking-off the new year with one of the most revered film & television awards in the industry, Vh1, Comedy Central and Colors Infinity will exclusively simulcast the 76th Golden Globe Awards on Monday January 7, 2019 at 7:30am IST, with a repeat telecast at 9pm IST. For 7 successive years Vh1 has been showcasing this star-studded night, that is attended by the who’s-who from films and television, vying for these coveted awards. Winning innumerable accolades throughout her glorious singing career, Lady Gaga has rightfully earned her nomination in the Best Actress category for a scintillating performance in her debut film – A Star Is Born, while Bradley Cooper leads the race as a favorite to win the award for the Best Director. Rami Malek hopes to finally win his first Golden Globe Award for his spellbinding performance as Freddie Mercury in Bohemian Rhapsody. Furthermore, Comedy Central’s Debra Messing (Will & Grace), Kristen Bell (The Good Place) and Candice Bergen (Murphy Brown) face-off in the ‘Best Actress in a Television Series – Musical or Comedy’ category. Owing to his outstanding contribution to cinema, acclaimed actor, singer, composer and producer – Jeff Bridges will be bestowed upon the 2018 Cecil B. DeMille Award at the ceremony. Five-time Golden Globe winner and the most decorated of all time in the television category, legendary TV icon Carol Burnett will receive the first-ever Golden Globe television special achievement award, aptly named the Carol Burnett Award, honoring the highest level of achievement in the medium. 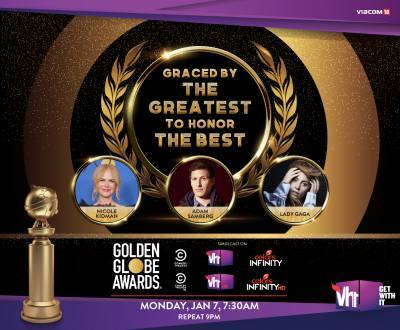 Recognizing excellence in film and television, domestic as well as foreign, the 76th Golden Globe Awards yet again promises to be a nail-biting affair, with superstars like Nicole Kidman, Charlize Theron, Christian Bale, Bradley Cooper, Emma Stone, Rachel Weisz, Julia Roberts, Jason Bateman, Michael Douglas, Penelope Cruz, Kirsten Bell, Debra Messing and many more contending for the awards in 25 different categories.